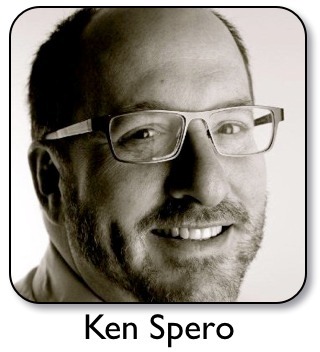 This episode has been way too long waiting for publishing and I am apologizing publicly to Ken Spero and to those who are following my podcasting and blogging. 2014 was a year of great change for me. I have been transitioning from a full time position as a Learning Designer with the University of Adelaide to running my own learning and teaching consultancy. There has been much time away from the computer for personal reasons as well. Now in 2015 I am intending to publish once a month I hope. This episode is way too important to go unpublished and I hope Ken will record more episodes in 2015 as we explore Immersive Learning and simulations to help transformational learning. In this fourth episode with Ken we explore more about Immersive Learning and something I had never heard of called a Resilience Report. When he challenged me before it started with “What is it that keeps people from making good decisions and in fact what is a good decision … it was quite a challenge. If we use simulations as a pedagogy to train can we simulate experience. Ken asks us to focus on troublesome decision not the easy ones. They are things we need to focus on with simulation development. He gives example of a colleague or friend may have behaved inappropriately (bullying) and explains if you focus only on the student of course you have to report it, but there are other points of view needing weight. What do we do? How do we wrestle with this? With simulations we can show the choices and consequences. There is a lot to think about in this episode. Ken talks about this difference, explaining that perception often connects the term “Score card” with Assessment. He talks about how simulations so effectively help development. They give people the opportunity to fail. Ken says as learning designers building simulations we should design really tough decisions so the learner will struggle with these decisions – if we choose the poorer pathways then we will only get “wacked by the virtual 4×4 rather than real life consequences. Simulation provides an opportunity for participants to have to think critically and exercise judgment in realistic scenarios, to create muscle memory around thinking and not being mindless. It then provides an opportunity for the student to experience consequences so that they can expand their experience portfolios with meaningful experiences that they can draw upon in real life. Ken really nails the definition of resilience as to roll with the punches. He shares much wisdom about educational leadership in the day by day running of a school. The following content is extracted from Ken’s excellent article in the Winter of 2014 Focus Magazine. I have included an extract of this for download at the end of the post. The insight and understanding of the issues at play. The trade offs/cause & effect that manifest in the scenario and/or broader context. Insight into the stakeholders, beyond the obvious ones, that are affected by the context. Demonstrations of the impact of time and what can make the students successful in the future. 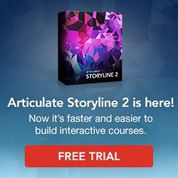 Ken wraps up this podcast episode with another major “ah aha” for a teacher wanting to build simulations. Simulations are powerful but one thing developers have trouble getting their heads around is they never need to get the simulation “right”. Simulation is a tool to drive critical thinking which means we can address learning in so many different ways Please listen to the interview all the way to the end and hear all the challenges and “ah ahas” for teachers to help students transform with their learning .. to empower them to make a difference. 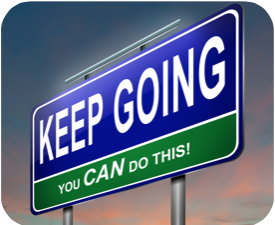 Resilience is when a person never gives up, never loses hope, and accepts failure as part of the road to success. 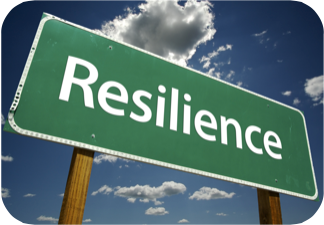 Resilience does not eliminate stress or ease life’s difficulties. Instead, it gives people the strength to tackle problems head on, overcome adversity and move on with their lives in the wake of traumas. This video highlights the characteristics of resilience and goes on to give a story of a really resilient guy. Nick Vujicic is truly a survivor and not a victim. Sure he is an Aussie, so I am biased, but his story has impacted hundreds of thousands of people around the world. Learn from Nick’s life and the concepts highlighted in this video. It also gives keys on how to improve your resilience. A final challenge to you as a teacher and learning designer: If we can build simulations which develop people with resilience like Nick …. Let’s go for it. Ed Leadership SIMS (ELS): This is Ken’s Educational Consultancy Website specializing in the development of simulations Please visit. Measuring Experience: Scorecards and Simulations is an extracted article from the Winter 2014 edition of Focus Magazine published in the USA.